It just wrapped up its international debut at the ILA Berlin Air Show in Berlin in April. Now the Corps expects to take its first delivery of its new heavy lift helicopter at the New River air station in North Carolina in May, according to Marine officials. Capable of lifting 36,000 pounds externally and moving 27,000 pounds for 110 nautical miles, the CH-53 King Stallion’s vertical lift capability is three times that of its predecessor, the CH-53E. It is the most powerful helicopter in the Defense Department, Capt. Sarah Burns, a Marine spokeswoman, told Marine Corps Times in an emailed statement Friday. The new heavy lift helicopter will be handed over to the Marines for further testing at the New River air station and will be operational by 2019, according to Burns. But, despite rave reviews from Marine officials, the CH-53K has come under criticism for its steep costs. Research and development costs are nearly $7.1 billion and total acquisition of the aircraft is estimated at over $27 billion, which sets a price tag of nearly $138 million per aircraft. The cost of the CH-53K program has grown, but the service has 160 ideas for finding savings. 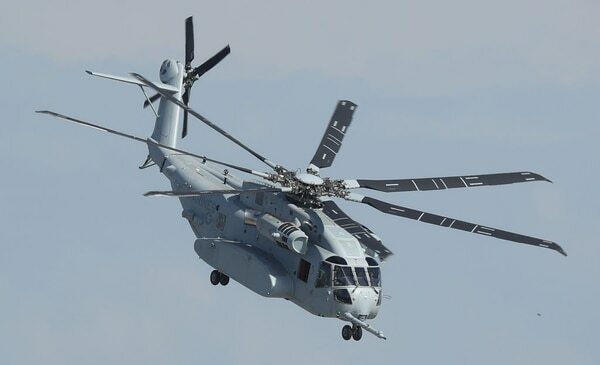 And in September, officials with Naval Air Systems Command announced the first awarded contract to Sikorsky Aircraft for two low rate initial production CH-53Ks valued at $303,974,406. However, Marine officials contend that the recurring fly away cost is the way to look at the price tag, which is currently parked at $87 million. Burns likened the recurring fly away cost to shopping for a car: A new car buyer doesn’t pay for all fuel, maintenance and spare tires upfront when they drive the car off the lot, she said. Nevertheless, “The aircraft has hit every milestone on time, and performed amazingly well in its international debut at ILA Berlin,” Burns said. The Corps expects its new heavy lift helicopter will be a logistics behemoth, which will greatly aid Marines distributed across the Pacific as they flex to the region to face down rising adversaries. The CH-53K sports a cabin that’s 12 inches wider that will ease logistics and transportation. “It’s the most advanced logistics support platform to warfighters,” Burns said. 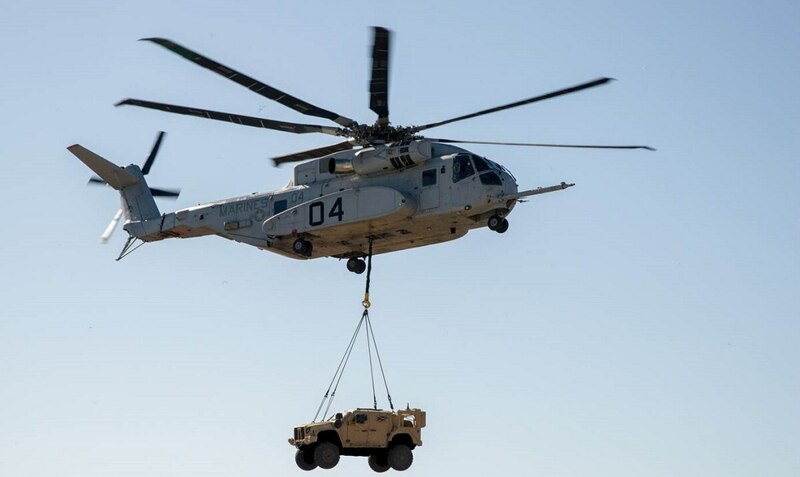 In January, the CH-53K demonstrated its ability to lift the Joint Light Tactical Vehicle 100 feet for nearly 10 minutes. The JLTV is the Corps’ replacement for the Humvee and it weighs almost 19,000 pounds. The heavy lift helicopter sports a triple redundant fly-by-wire capability and glass cockpit. This allows for some computer or semi-autonomous control of flight. “Essentially you program into the aircraft what you want to do and where you want to go, and it’ll work for you,” Burns added. And according to Marine officials the aircraft is easy to upgrade and modernize because the platform is software driven.